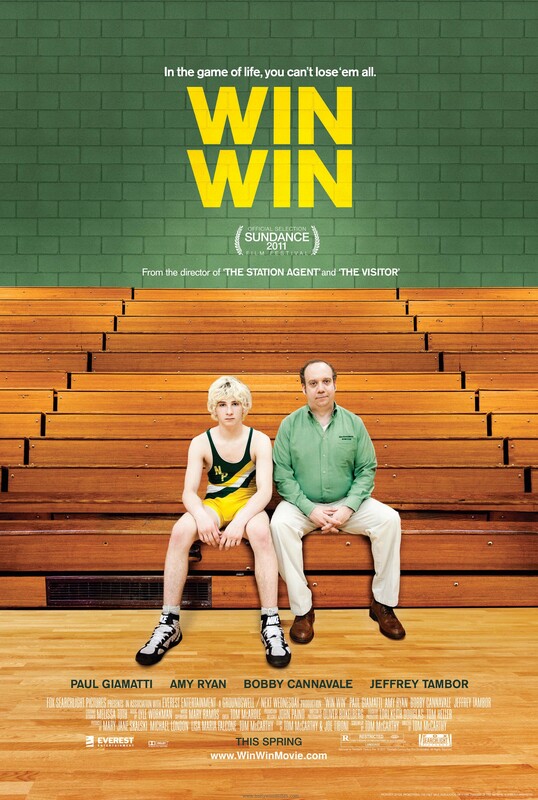 The Reel Place and Fox Searchlight are proud to invite you to a special advance screening of Win Win taking place on Tuesday, March 29 at 7PM in Salt Lake City. Click here to head over to Gofobo, a site which allows you to print off advance screening passes. You must first register with Gofobo, which comes with perks (like passes to other future advance screenings). Having a pass will not ensure admittance to the screening. You must exchange your pass at the box office for an actual assigned seating ticket. Because the screening will sell out, we recommend getting there by 4PM. Opening at the Broadway Centre on Friday, April 8th! Tom McCarthy, acclaimed writer/director of THE VISITOR and THE STATION AGENT, once again explores the depths and nuances of human relationships in his new film about the allegiances and bonds between unlikely characters. Disheartened attorney Mike Flaherty (Paul Giamatti), who volunteers as a high school wrestling coach, stumbles across a star athlete through some questionable business dealings while trying to support his family. Just as it looks like he will get a double payday, the boy’s mother shows up fresh from rehab and flat broke, threatening to derail everything. McCarthy’s deft touch with balancing drama and comedy, broken hearts and poignant humanity is at play in WIN WIN. Fox Searchlight Pictures presents, in association with Everest Entertainment, a Groundswell / Next Wednesday Production, WIN WIN. Directed and screenplay by Tom McCarthy with story by Tom McCarthy & Joe Tiboni, the film is produced by Mary Jane Skalski, Michael London, Lisa Maria Falcone and Tom McCarthy and executive produced by Lori Keith Douglas and Tom Heller. Bringing the story to life is an ensemble cast headed by Academy Award® nominee Paul Giamatti, Academy Award nominee Amy Ryan, Bobby Cannavale, Jeffrey Tambor, Melanie Lynskey, Burt Young and teen newcomer Alex Shaffer. The creative team includes director of photography Oliver Bokelberg (THE BOUNTY HUNTER), production designer John Paino (THE VISITOR), editor Tom McArdle (THE VISITOR), music supervisor Mary Ramos (INGLOURIOUS BASTERDS), music by Lyle Workman (FORGETTING SARAH MARSHALL) and costume designer Melissa Toth (ADVENTURELAND). NOTE: While supplies last. Screening is first come, first serve and seating is not guaranteed. This film is rated R. Must be 17 or older. No cell phones or other electronic devices will be allowed into the theater.